Home » Mum!!!!! – I’m Bored!! It is two days before my kids finish school for the Summer – from this week I will have them home for 7 weeks until they go back (I know this seems early but here in Scotland our kids are off from the end of June till the beginning of August). Now I’ve got two boys – two pretty active boys with the challenge that there are a whole 7 years between them. Makes arranging “cool” things to do with boys of different ages (and on a budget) a perennial headache. I live in dread of the plaintive “Muuuuuummmmm!!! I’m bored” moment . Not that I don’t think kids SHOULD be bored on occasion, in fact I am all for it. 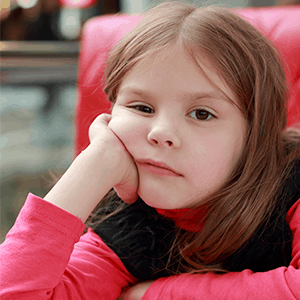 I think that “over-scheduling” our kid’s time stifles their creativity – a healthy dose of boredom motivates kids to amuse themselves wonderfully. But I am aware that this is “their holiday” and we should really do some cool stuff together. So here is a solution that I have employed that I hope you might like to employ. We have two large jars in our kitchen that for the last few months we have used to collect ideas of things we would like to do. Every night after dinner the kids will take it in turns to draw a slip of paper from the jar to choose what we get to do the next day. Makes it easier for me if they draw it the night before, as I can check the weather report, pack suitable clothing and food and be ready to go first thing. Cinema/ Theatre – well, there are usually some great kids’ things on in the holidays and I figure I am training the toddler how to be “grown up and sit still” – at least for a little while. Of course, we bring our own snacks and drinks. Yes!!! – Wednesday is our “going out” day as a family. The kids don’t need to be amused ALL day EVERY day – but it does help keep the mood of the whole house lighter if they have something to look forward to the next day. So what are you planning to do with your family this summer? These are brilliant ideas, Elaine. I’ll be trying them out over the holidays too – love the idea of the two jars, which really teaches the value of money too. Thanks a million.